Soak up the sun or enjoy the stunning purple skies of this desert in this 4br, 2ba three story home. Approximately 2,000 sq ft of living space allows for groups large or small to feel comfortable. 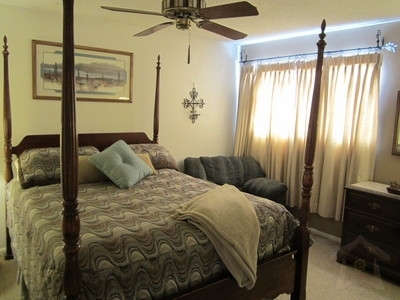 Ceiling fans, pillowtop mattresses and carpets are in the bedrooms. Wireless internet, 3 TVs, and awesome backyard make for an ideal home away from home. 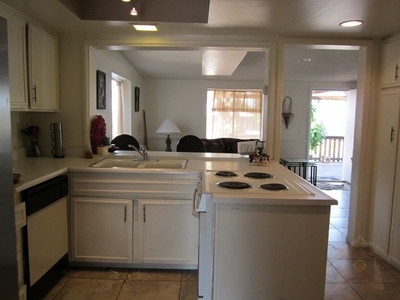 This is an ideal location with easy access to all the major arteries in and out of the valley. We are conveniently located off of Southern between Rural and McClintock. Access to I-60, I-10 and 202 is less than 2 miles. ASU and downtown Tempe is 3.6 miles away and a free shuttle bus is offered on the corner to transport students and tourists. Tempe transit offers lightrail and bus transportation from the airport to our corner for $1.75. A shopping center is within a short 5 minute walk with 4 coffee shops, 4 restaurants, an organic grocery store and numerous shops. 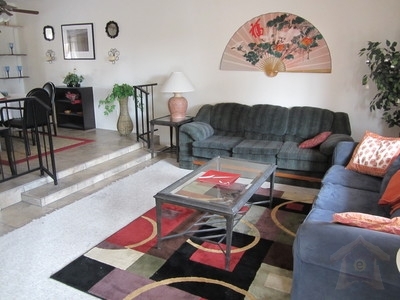 The house enjoys ample off street and on street parking, in a quiet, safe environment. 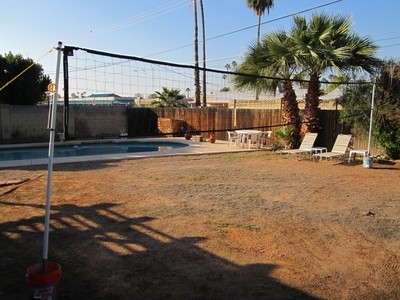 Most appealing is the spacious backyard with inground diving pool, and volleyball net. A covered deck is equipped with a BBQ grill, several tables and chairs for outdoor dining and relaxing. Deposits: 50% of rent due upon reservation. $300 security deposit and balance of rent due 21 days prior to arrival. Cancellation Policy: Refund of deposit is given if notice of cancellation occurs 21 days prior to check in. Other Fees: Pet fee, cleaning fee - calculated on the number of pets, people. Tempe is home to ASU an internationally renown university. Nestled between Phoenix and Mesa it has a pleasant small college town atmosphere. Tempe/Phoenix is a good home base for traveling around the Southwest. Established because of Salt deposits found in the Salt River. Golf courses abound throughout the valley. Desert, mountain landscape within easy one hour car ride. Accessible from I-10 or I-60 taking the McClintock Dr. exit to Southern Ave.
Public transportion on corner, Airport 15 minutes and accessible by public light rail for $1.75! Mexican American, Native American blend in Tempe town festivals held throughout the year. Rates vary depending on season, number of guests and length of stay. Last minute discount specials.